A small group of Rett-Parents with their children came together at the beautiful site of “Seminarhotel Kletzmayr” in Styria. Because of the warm weather the activities for the Rett-Girls and their siblings took place outside. 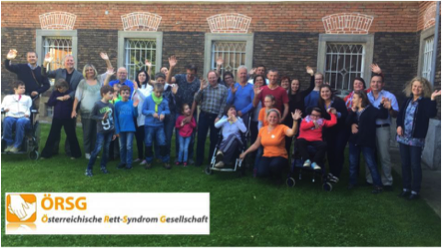 The carers for the Rett-girls/boys are trained experts for impaired people and have been on Rett-Camps of the ÖRSG for many years. One of the main topics of this information day was the situation and appreciation of siblings within a family with a disabled child. Mag. 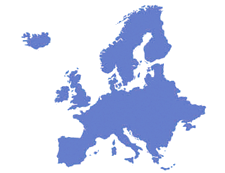 Elisabeth Kuhn outlined their important part within the family. Her talk was informative and interesting. Some slides of her Power-Point based lecture showed her intensive work within family workshops. The Rett-parents were asked to put down questions and themes their healthy children could be interested in. The essential point of it was that no matter what age the sibling was, questions and themes of interest were quite the same. After this started a very constructive discussion between the parents – how to handle quarrels, increase self-trust, create open spaces, include in daily duties with the Rett-sister. Romana Malzer, mother of Rett girl Isabella, and the moderator of another topic, talked about Augmented Assisted Communication. Especially the use of iPad and new Apps which may enjoy the Rett-Girls. E.g. Unicorns, Dinosaur in “Hokus Pokus”, “Touch me Puzzle Klick”, … Also, a new wireless iSwitch which works with Bluetooth and is compatible to iPad and Smartphone for playing music. It was a very pleasurable, informative Day for all families!